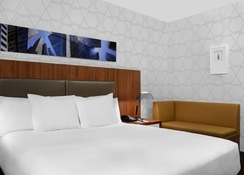 Only six minutes by car separates the DoubleTree Metropolitan Hotel from the well-known and emblematic Times Square in New York. This is a quality hotel where guests will find all the necessary services for a luxurious and comfortable stay. Inside, in addition to sophisticated rooms, there is a gym and a beauty salon. The hotel also has an a la carte restaurant where you can savour delicious dishes. The 24-hour reception gives you tourist information about the city of skyscrapers, as well as help you with tickets for some of the most world renowned shows around New York. There are several tourist attractions close to the hotel. The Statue of Liberty; the Rockefeller Centre; the Chrysler Building; Fifth Avenue, are good examples. 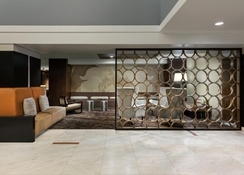 This hotel brims with quality for an unforgettable visit to one of the largest capitals in the world. 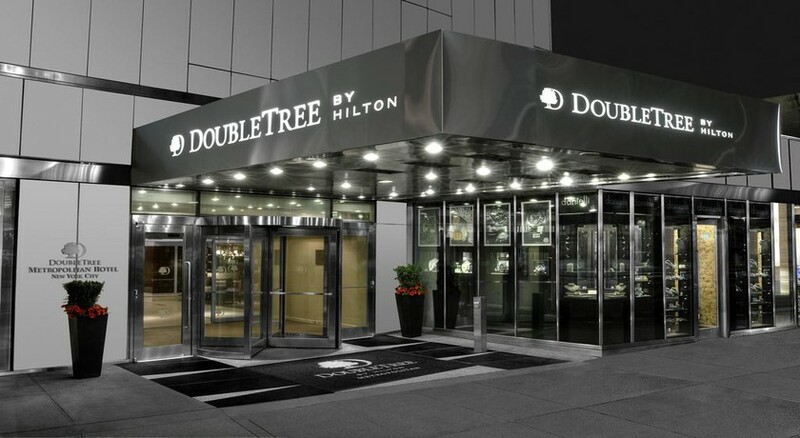 The Empire State Building and Times Square are two of the places that can be easily accessed from the DoubleTree Metropolitan Hotel. 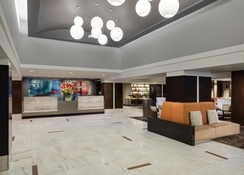 The establishment, located in the tourist city of New York, is one of the preferred options for visitors who yearn for a luxurious stay, while enjoying a central location. Strolling along Fifth Avenue, touring the great Central Park, visiting the Statue of Liberty or crossing the Brooklyn Bridge are some of the activities that can be done in New York. The JFK International Airport is about 25km from the hotel. 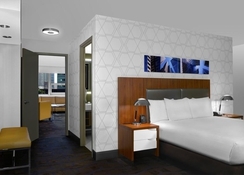 All the rooms of this modern hotel are equipped with a wide variety of amenities. Safe, private bathroom with toiletries, cable HDTV, desk area and ironing equipment are some of them. 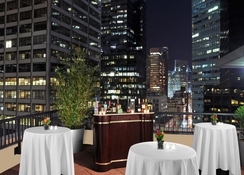 In addition, in some of its most exclusive rooms guests can enjoy a balcony with views of the city. The hotel’s restaurant – Met Grill offers a scrumptious breakfast buffet and a host of a la carte options throughout the day. There is also the Met Bar offering a wide variety of drinks and snacks. The bar offers huge screens for screening matches. 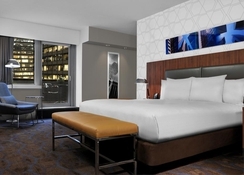 In the heart of the city, Doubletree Metropolitan Hotel offers a stay full of comfort. Fitness centre, hairdresser, souvenir shop and restaurant with exquisite dishes are some of the services offered by the hotel. Additionally, the hotel offers free Wi-Fi connection and a 24-hour reception where all kinds of tourist information is obtainable. The hotel features a state of the art fitness centre.